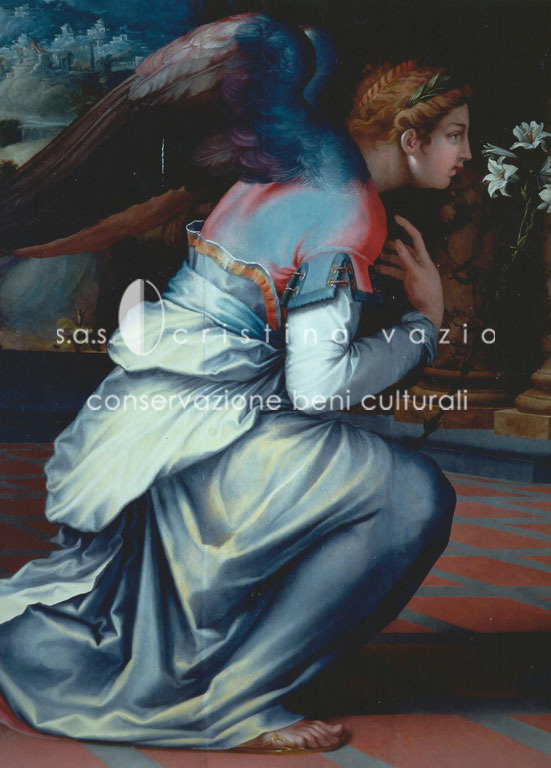 In 1532, Francesco Salviati painted the panel of the Annunciation located above the Annunciation Altar in the church of San Francesco a Ripa. 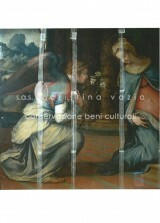 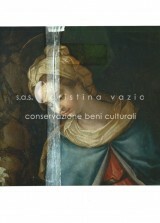 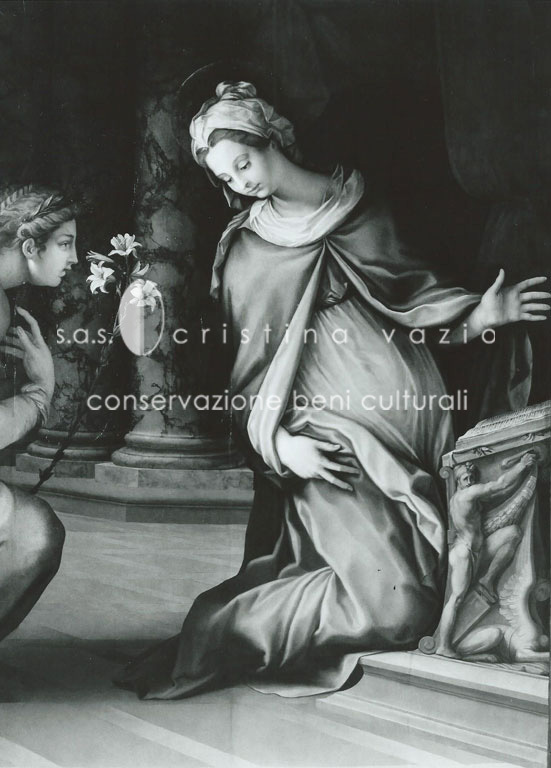 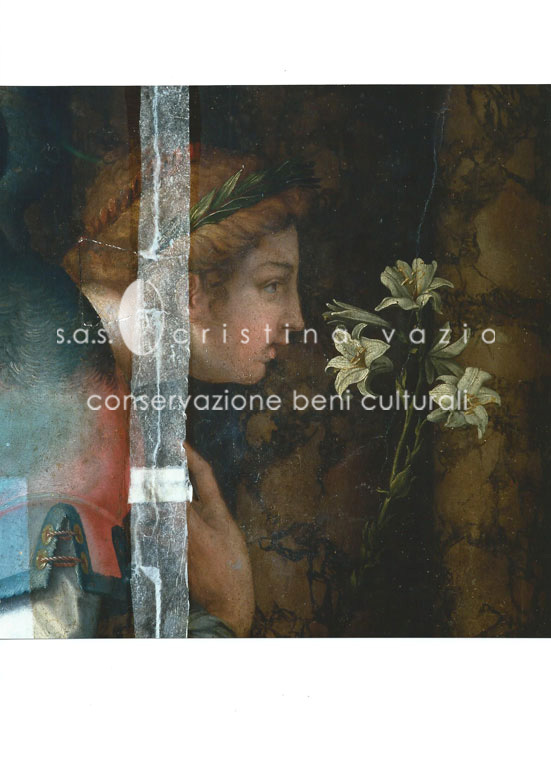 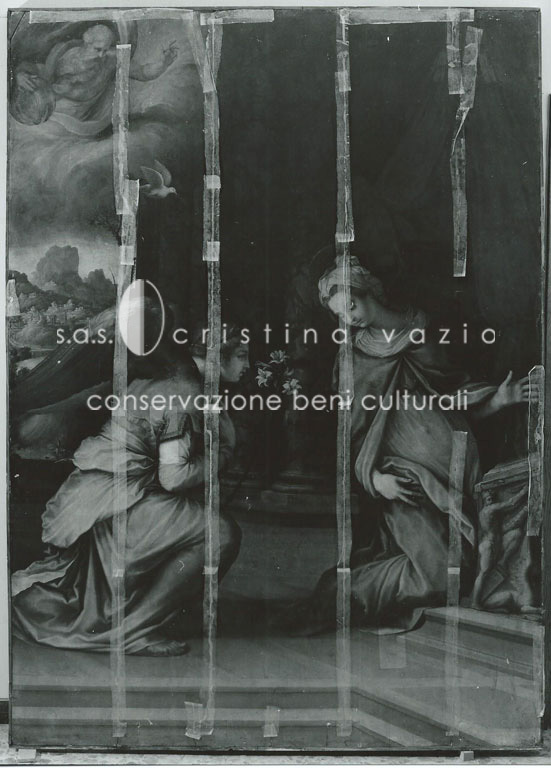 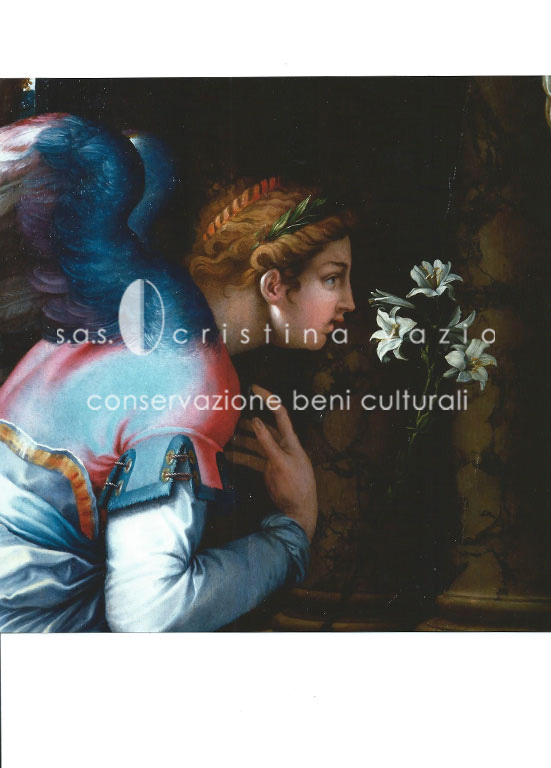 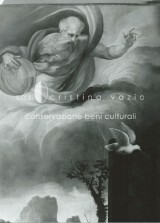 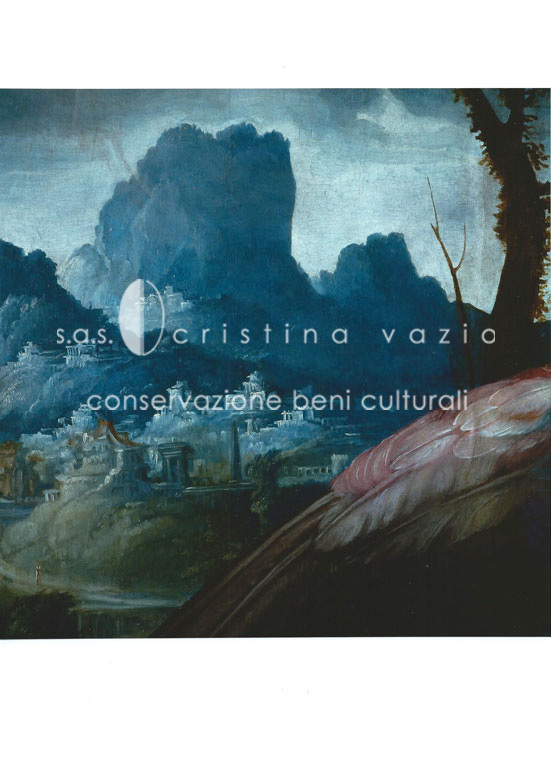 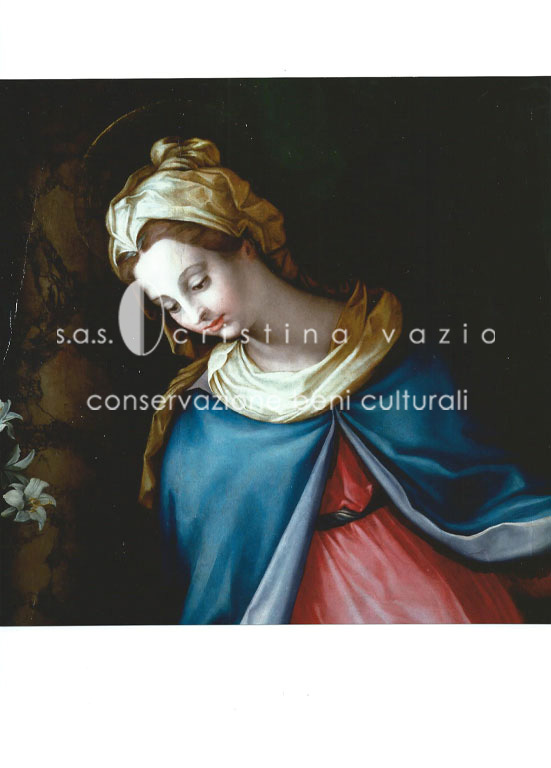 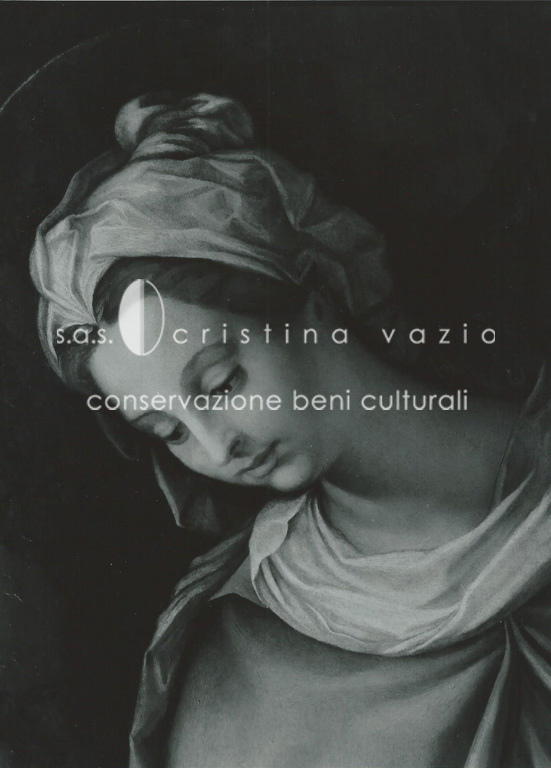 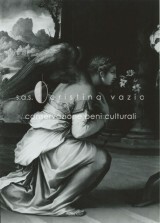 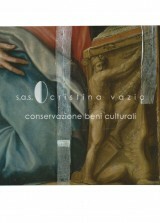 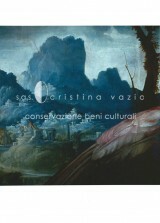 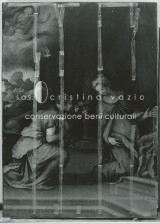 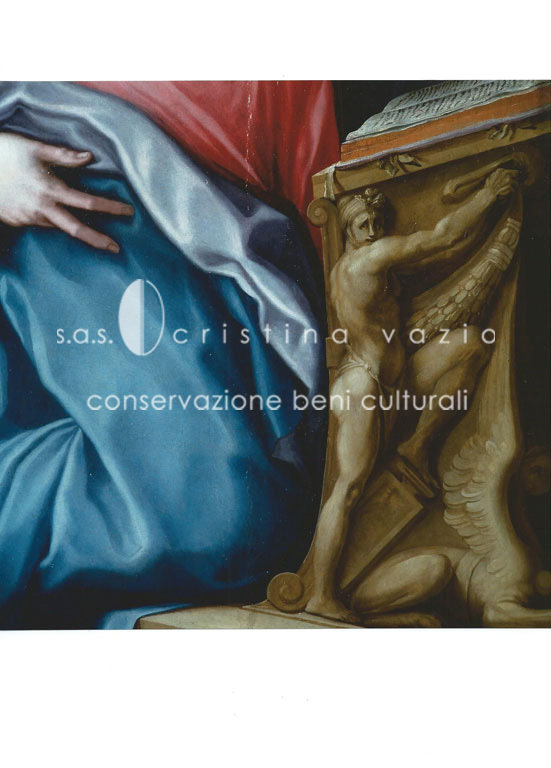 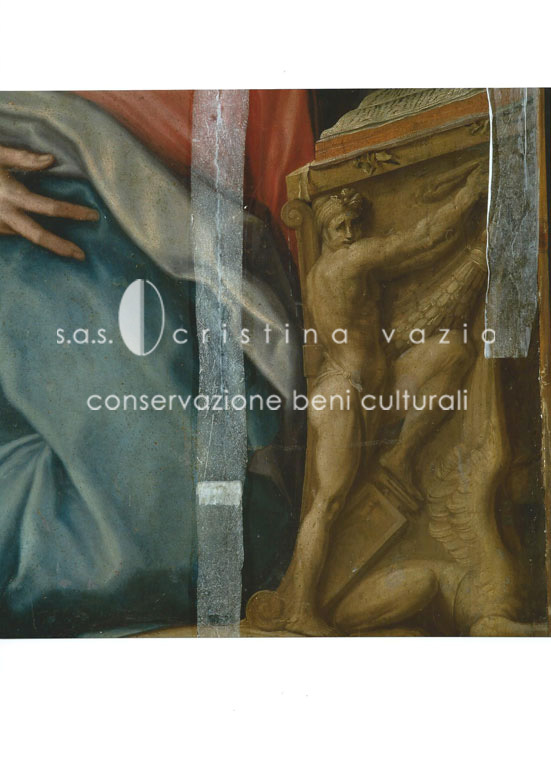 The exhibition “Francesco Salviati o la Bella Maniera”, which took place at the Villa Medici in Rome, elicited the restoration of the panel which presented scattered paint lifting along the joints of the boards and a uniformly faded varnish layer from previous interventions, which changed the coloration of the panel. Restoration (see CV attached) was performed on the painted surface and the wooden support.